There was a three-year period in my adult life when I was without my gardens. During this time I mostly stayed away from visiting other landscapes because I was extremely jealous of anyone who was able to grow things. Once we moved to Cape Cod and I was able to cultivate plants again I was not immune from garden-envy. When I attended GWA or PPA symposiums and would tour other properties that were larger, more charming, or better planted than mine, I was once again filled with jealousy. Note that in neither of these situations was I truly deprived. In many areas of my life I was blessed beyond measure…not that this stopped my cravings. You would think that now I’m on Poison Ivy Acres all of that envy would be gone. This property is pretty great and I have plenty of space to garden. The problem is, of course, that there is always someone who has something more. There are always people who are smarter, more talented or luckier. 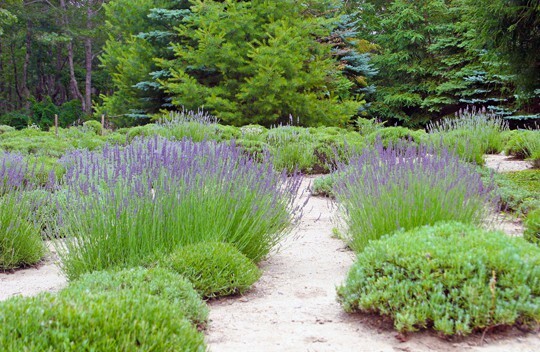 There is always a larger, more charming, or better-planted garden. It makes perfect sense that the Tenth Commandment is about coveting. Although most versions of the Commandments mention houses, wives and manservants gardens might as well have been tossed onto the list. Jealousy is such a waste of life. The problem is that in focusing on what someone else has, we lose track of gratitude and the present moment. If we are filled with jealousy about what we don’t have, we lose what we truly possess: life, right now. 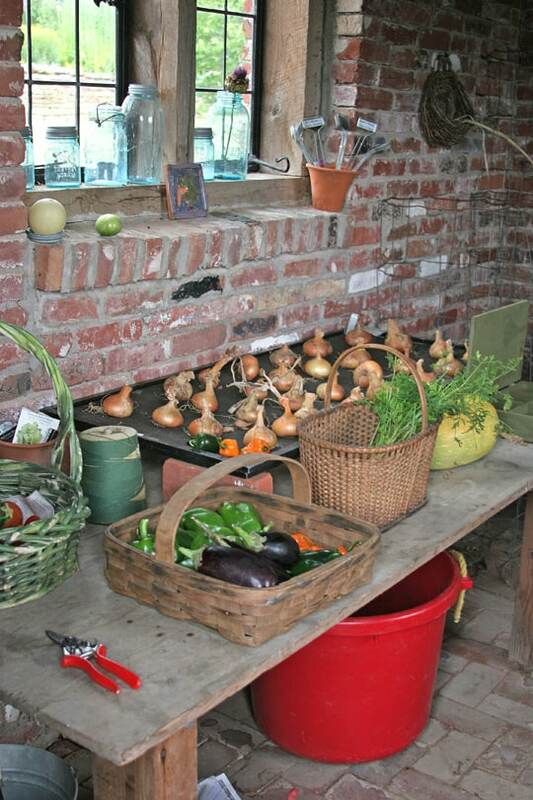 This was a garden shed I visited some years ago on a GWA tour. It was sweet, well-designed, and clean. I appreciated it but wanted one too. 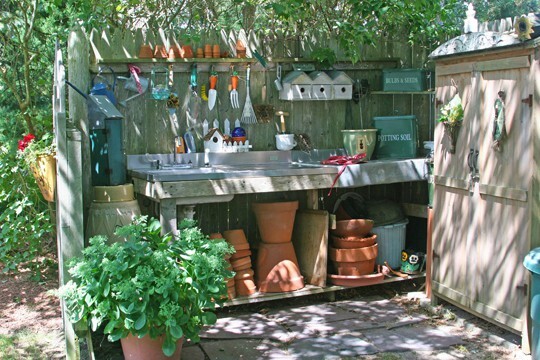 This gardener has an outdoor sink where she does her potting. An outdoor sink! I took this photo several years ago and I'm still jealous. I don't want to run a lavender farm but that doesn't stop me from being envious of this view at the Cape Cod Lavender Farm in Harwich. That's the crazy thing about envy...you can covet what you really don't want, and in the process you dilute appreciation for what you're seeing as well as everything that is in your life right now.